The benefits of having a website for small business are pretty well documented. Once the site is live, business owners need to start thinking about SEO (Search Engine Optimization). While there is no definitive formula for ranking high in search results, there are few best practices that will ensure people find your business, and it is better positioned to rank well. One of them is to use the right keywords and phrases for the main pages of your website. It can have a dramatic increase in traffic and can generate good leads since more people would be landing on the right page. Google's latest algorithm update (Hummingbird) puts emphasis on semantics. 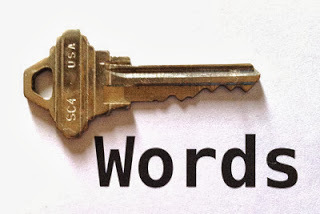 As a result, using phrases instead of single keywords will have a better impact on your SEO. Also, having the right keywords/phrases is a must for your landing pages when running a marketing campaign. There are many tools to help you find the right keywords/phrases, but Google has one that works well, and it is free. They are also the owners of the most used search engine as well, so they likely have the best idea of which words and phrases will help users find you. Keyword Planner is the name for this tool, and although it is part of the Google AdWords interface, it can be used to find the right keywords/phrases for your website and landing pages. Once you submit the form, you get a list of possible keywords. The idea is to use one or two of those (no more than that) and work them into the copy of that page. Do you have any SEO tips or trick that have helped you improve the ranking of your website?